Cecilia Brady, the daughter of a great motion-picture producer, reminisces about events that began five years earlier when she was an undergraduate at Bennington College, starting with a flight home to Hollywood on a plane whose other passengers included Wylie White, a script writer down on his luck, Manny Schwartz, once an influential producer, and Monroe Stahr, another producer and partner of Cecilia's father, Pat Brady. Cecilia is attracted to Stahr, and he turns to her at the very time that he has a falling out with her father. Each of the partners conceives the idea of murdering the other. On the way to New York to establish an alibi, Stahr repents and decides to revoke his orders that will result in Brady's death, but his plane crashes before he can carry out his new plan and Cecilia loses both her father and the man she loves. 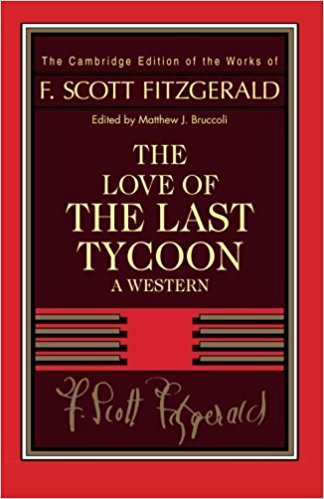 Even in its incomplete form, The Love of The Last Tycoon: A Western has achieved a reputation as the best Hollywood novel. 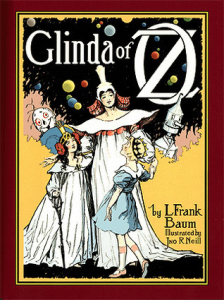 When F. Scott Fitzgerald died in 1940 he had written seventeen of thirty projected episodes. In 1941 the "unfinished novel" was published in a text for general readers by Edmund Wilson under the title The Last Tycoon. 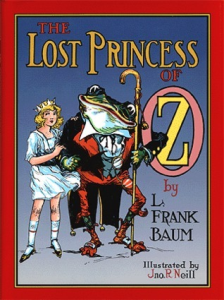 For more than fifty years this edition has been the only one available. 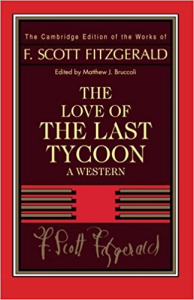 This critical edition of The Love of the Last Tycoon utilizes Fitzgerald's manuscript drafts, revised typescripts, and working notes to establish the first authoritative text of the work. 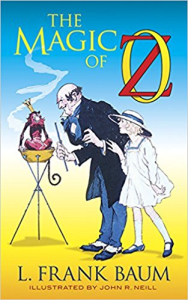 This volume includes a detailed history of the gestation, composition, and publication of the novel; full textual apparatus with editorial notes; facsimiles of the drafts; and explanatory notes on topical allusions and historical references for contemporary readers. The reconstruction of Fitzgerald's plan for the thirteen unwritten episodes is particularly useful. F. Scott Fitzgerald's incomplete masterpiece is restored to its 1940 state, and thus made fully accessible for the first time.